Ben was a teacher who worked in an archipelago. 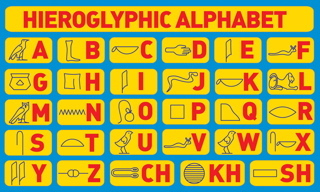 He had his own boat and would putter around from island to island, teaching hieroglyphics at the local schools. He taught at a different school every day of the week. You learn your Bird Leg Bowls and then go from there. This was just his day job, however. His real dream was to become an alchemist. He had a small alchemy kit he carried around and when his classes were finished, he would experiment and do his quiet research at a nearby bar or coffee shop. One day, he was at a school on Sunny Island and had finished all his classes by lunchtime. One of the teachers came up to him. “Anywhere you want,” the teacher said. This sounded like a great thing, except the school was so small that there was nowhere to go. Ben went first to the library. 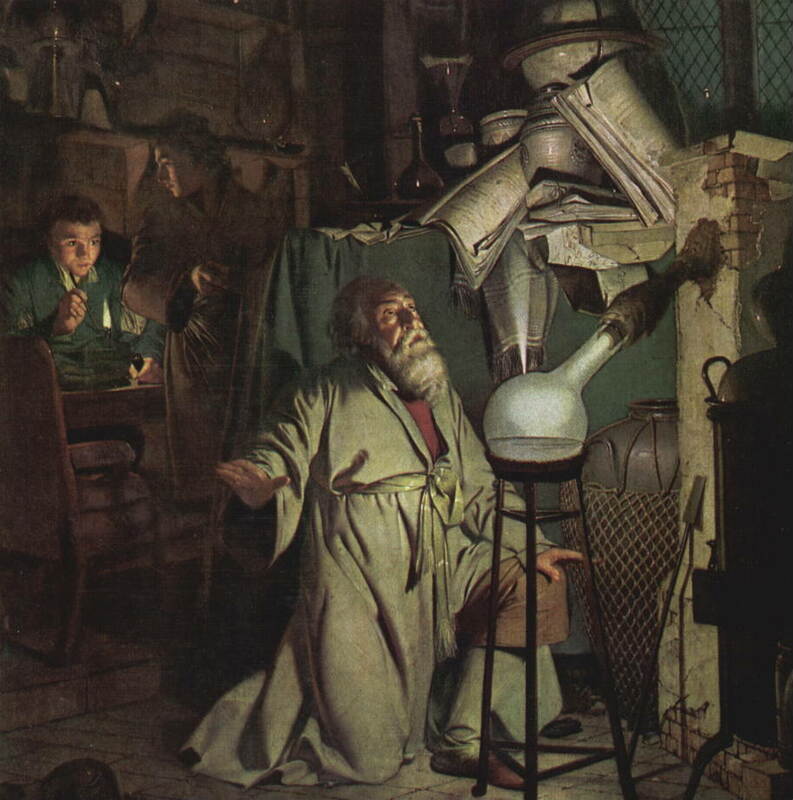 He had just set up his alchemy set when students began to trickle in. Immediately, they crowded around him. “What’s this?” one asked, picking up a glass bottle. “That’s Aqua Fortis,” Ben said. “Of lead. That will kill you too.” Eventually Ben packed up his equipment. He wandered from room to room, looking for some place to sit. He ended up in a storage room, crammed between boxes of abandoned pencil stubs and the costumes from the school’s Cthulhu Day program. “…Or, some sort of simulacrum to sit here for me,” he added, after a moment of contemplation, in which he realized he had no idea how to open another dimension. For the next few weeks, he worked on his replacement until the fateful night when he poured the Elixir of Life into its head and brought it to life. It looked just like him, spoke in his voice and seemed reasonably intelligent. He still couldn’t turn lead into gold, but this was good for the time being. From then on, he would bring the simulacrum (or Ben Two, as he called it) to school with him, then set it loose whenever classes were over and he could sneak out. This worked well, but it was difficult to carry Ben Two to school and dangerous to walk into school with it. Finally, one day when Ben was feeling especially tired, he sent the thing to teach his classes for him. From that day on, he sent Ben Two to teach all his classes, while he stayed home to work on his alchemy. That was the plan, at least, although he ended up just playing World of Warcraft and eating Pizza Pockets all day long. One day, he was walking to the store to get more alchemical supplies and Pizza Pockets when a beautiful woman ran up to him and threw her arms around him. She gave him a big kiss. “Sure thing,” Ben stammered. He had never seen her before in his life. She gave him another kiss and then left. That evening, Ben was waiting when Ben Two came home. The simulacrum came in, flipping through the mail. “Yeah, I guess,” Ben said. He was trying to work out if this was all a good thing or a bad thing. This entry was posted on Sunday, September 8th, 2013 at 1:53 pm	and tagged with alchemy, deskwarming, fantasy, fiction, hieroglyphics, Pizza Pockets, quirky, simulacrum, teaching, World of Warcraft and posted in Light. You can follow any responses to this entry through the RSS 2.0 feed. OK. Very interesting to think about. The up side and the down side. You know, you don’t even have to finish it. The reader’s mind races off to find the many endings. Fun! That’s true, it works just as it is. It is better for Ben to get out of the problem as soon as possible. Ben 2 seems very intelligent and also secretive:) Somehow, can imagine you in Ben’s place..
“Cthulhu Day School” — I’m racking my brain trying to decipher what odd real-life thing this could be. Very much so. Wait until you read the later stories. 😉 Great to see you back around, by the way.